would you take my mind out for a walk? In the fall of 1967 The Tiffany Shade-Bob Leonard (born May 27, 1945)  piano/ vocals, Michael Barnes (born May 21, 1948)  lead vocals/guitar, Tom Schuster (born Feb.1, 1949)  drums and Robb Clarke Murphy (born Sept. 26, 1944)  bass/vocals, entered the studios of the Cleveland Recording Company located at 1515 Euclid avenue in Cleveland, Ohio and recorded their first and only album of original material together. After two days and two separate eight hour long recording sessions, the band ended up with 10 songs (9 originals and 1 cover tune) for Bob Shads’ recently formed Mainstream record label. 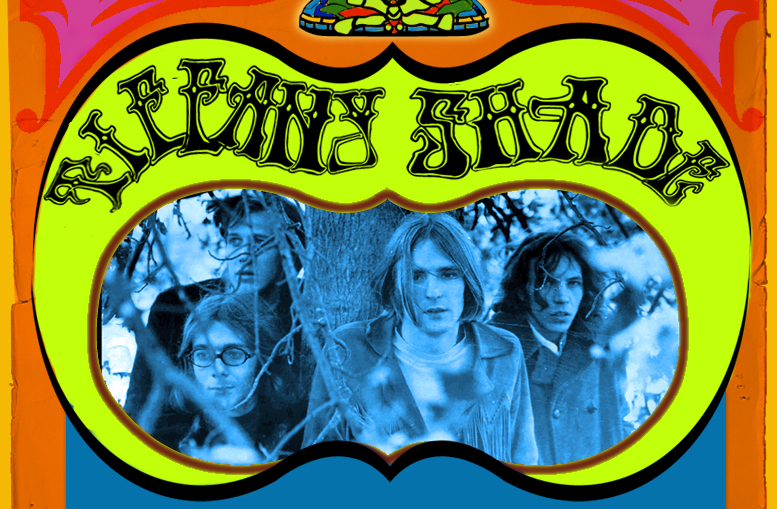 In the 40 years since its’ original release on December 11, 1967, The “Tiffany Shade” album (Mainstream release #56015), like several other Mainstream releases from this time period, has gone on to become one of the most highly sought after and valuable record albums of the psychedelic era. This was the bands only release and on the rare occasion that it appears on EBay and rare record websites the LP sells for anywhere from $150.00 to $350.00 depending on it’s condition.